Is a book about a Serial Killer a good Valentines’s Day read? Without argument, the Christian Bible contains the greatest love story ever told. No author could pen a more inspirational love story. Jesus said, “Greater love has no man than this – than a man lay down his life for his friends. I am your friends.” Then Jesus died. No matter how many or how few Valentine’s Day cards you received on February 14, God has already given you a Love Card that is for today, every day, and all eternity. No human-crafted earthly creation can beat that! Then there’s a new murder. She stalks him looking for evidence. He stalks her to find out if she has evidence. When the two collide, it’s in a deadly life and death struggle. Texan Kevyn Skye Lamar’s quest to find a story and write the “Great American Novel” may end up with her as the serial killer’s next victim. What a tragedy that would be after she has finally found love. And…she wonders…do serial killers go to Heaven? No, I didn’t answer the question about why “Killer Conversations” is a good book for Valentine’s Day. To do that, I would have to add a spoiler. 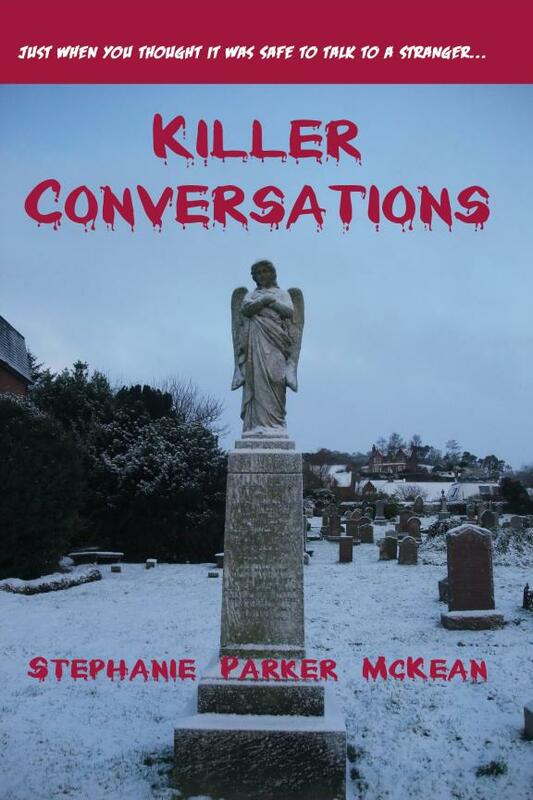 I never give away the twists and thrills that make for good reading.As encouragement, “Killer Conversations” made it to Amazon UK’s top 100 best sellers’ list within hours of its release! Posted on February 14, 2015 by authorstephanieparkermckean •	This entry was posted in Uncategorized and tagged Amazon, Bible, Christian, Jesus, psychological, Scotland, Seiral Killer, suspense, Texas, thriller, Valentines' Day. Bookmark the permalink.